Retinoids minimize the appearance of wrinkles, bolster skin‘s thickness and elasticity, slow the breakdown of collagen (which helps keep skin firm), and lighten brown spots caused by sun exposure. Retinoids first came to market in the early 1970s as an acne-fighting drug. Since then, they have also been used to treat psoriasis, warts, wrinkles and blotchiness caused by sun exposure, and aged skin. 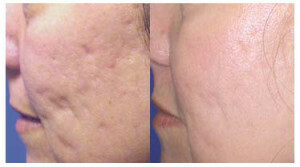 Retinoid work by prompting surface skin cells to turn over and die rapidly, making way for new cell growth underneath. They hamper the breakdown of collagen and thicken the deeper layer of skin where wrinkles get their start. It’s not true, that retinoid thin the skin. They typically cause peeling and redness in the first few weeks of use — but they actually thicken the skin. 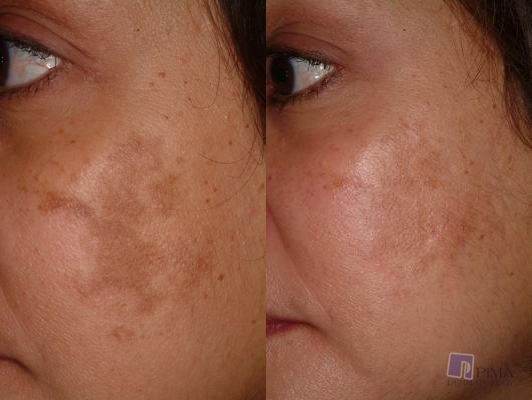 For brown spots that give the skin an uneven tone, retinoid slough them off and curb the production of melanin, a darker pigment. For aging skin, dermatologists like to prescribe tretinoin and retinoic acid (Retin-A,Renova, Refissa) that is “100 times” as potent as the retinol-containing products sold without prescription. 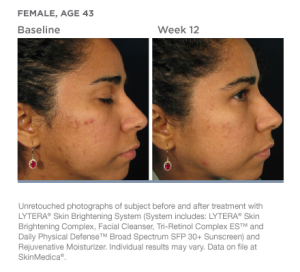 “Tretinoin works better because it has a stronger capability of preventing the breakdown of collagen. 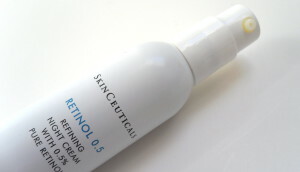 Retinol, found in over-the-counter products, changes to retinoic acid when you put it on your skin. Makers of the over-the-counter creams and gels don’t have to say how much retinol their products contain, and in the short term, the products might not be as effective as tretinoin. 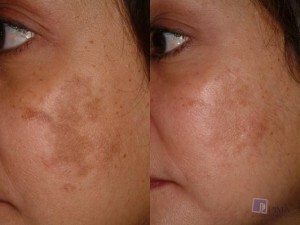 But they do smooth out the skin and minimize the effects of sun damage. Generally, it takes about 3 to 6 months of daily use to notice a difference. 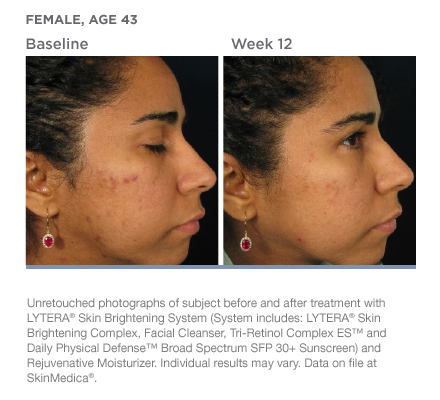 With prescription retinoids, a patient might notice smoother, more even-toned skin in as early as 6 to 8 weeks. Retinaldehyde, another form of retinoid that you can get without a prescription, is highly effective in rejuvenating older skin. Retinol 0.5 contains 0.5% pure retinol and is enhanced with the latest stabilization and delivery technologies to provide maximum efficacy. Studies show retinol helps diminish the appearance of fine lines, wrinkles, and age spots from both environmental and intrinsic aging. Additionally, retinol helps minimize the appearance of pore size, while reducing blemishes associated with problematic skin. 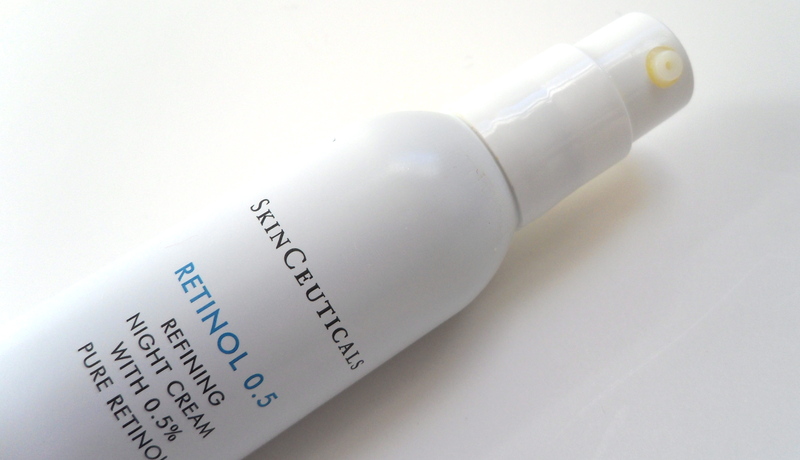 Retinol 0.5 is ideal for continued use or for conditioning skin as a prerequisite to SkinCeuticals Retinol 1.0. Retinol Complex 1.0 is an exemplary, high-strength retinol product whose fragrance-free formula is a lotion texture best for normal to dry or combination skin that’s not too oily. Along with anti-aging superstar retinol, you’re getting an outstanding mix of antioxidants, cell-communicating ingredients, and repairing agents—all in packaging that keeps these beneficial ingredients stable and effective during use. Well done, SkinMedica; this product can produce results equivalent to prescription retinoid products, yet is formulated is a much more cosmetically elegant base. The claims of enhancing skin tone, texture, and resiliency while diminishing lines and wrinkles are absolutely true and 100% possible with this or other well-formulated retinol products from SkinMedica and other brands. The great news is that SkinMedica did not merely formulate a one-note product. 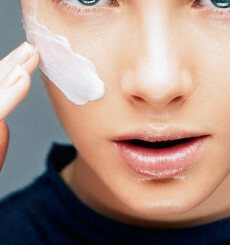 As effective as retinol is, skin needs more than one great ingredient to look and act younger and healthier. Note: The strength of this retinol product is considerably higher than most over-the-counter retinol products. If you decide to use this, follow usage instructions and pay close attention to how your skin responds, adjusting frequency of application as needed. Also, remember that it’s imperative to protect your skin every day with a product rated SPF 25 or greater—any anti-aging routine must include daily sun protection or you simply won’t get the results you want. Treats skin to a broad range of proven anti-aging ingredients. Reasonable price for such a powerhouse formula that makes good on its claims. Cosmetically elegant texture is pleasant to use. 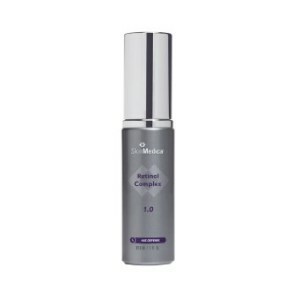 Enhance skin tone, texture, and resiliency; Diminishes appearance of fine lines and coarse wrinkles.